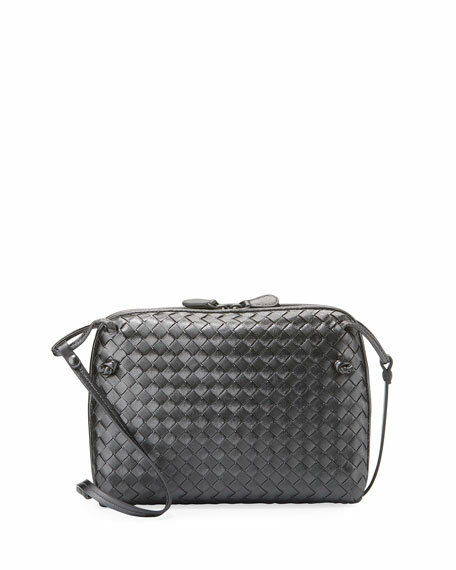 Signature Bottega Veneta metallic woven leather. Buckled crossbody strap; padded handle; 23" drop. Inside, suede lining; one zip and one open pocket. 8"H x 9.5"W x 2"D; weighs approx. 1lb 3oz. For in-store inquiries, use sku #169044.